True wisdom resides with God and with him alone, for such wisdom is not found in all the earth but in heaven with our Father by his Spirit of knowledge. 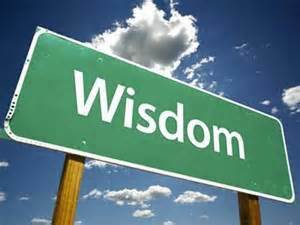 (Job 28:12-13) But where shall wisdom be found? and where is the place of understanding? Man knoweth not the price thereof; neither is it found in the land of the living. While we live and search to know true wisdom there is a place even the fowls of the air nor any animal hath walked such a path. God tells us that to fear him and shun evil is the wisdom we need to stay the right course. (Job 28:7-8-28) There is a path which no fowl knoweth, and which the vulture’s eye hath not seen: The lion’s whelps have not trodden it, nor the fierce lion passed by it. (Psalm 112:1) Praise ye the LORD. Blessed is the man that feareth the LORD, that delighteth greatly in his commandments. Many think multitude of years of ones life brings wisdom, yet how many live their lives well into their 70’s and 80’s and have not come to know their Lord and saviour Jesus Christ? It is not a guarantee years teach wisdom, but the Holy Spirit gives wisdom that no amount of years can give as it is a Spirit of understanding the will of God and his will for us. (Job 32:7-9) I said, Days should speak, and multitude of years should teach wisdom. But there is a spirit in man: and the inspiration of the Almighty giveth them understanding. Great men are not always wise: neither do the aged understand judgement. If we truly Love the Lord we will eschew and shun evil! (1 Peter 3:10-13) For he that will love life, and see good days, let him refrain his tongue from evil, and his lips that they speak no guile: Let him eschew evil, and do good; let him seek peace, and ensue it. For the eyes of the Lord are over the righteous, and his ears are open unto their prayers: but the face of the Lord is against them that do evil. And who is he that will harm you, if ye be followers of that which is good?